When I was a kid I didn’t see a point in learning how to read. My parents found a book about Tom and Jerry and I was eager to read. If your child is interested in seeing the movie Turbo you’re in luck. Zuuka Incorporated has created an iStorytime app for ios. The great thing about this app is there are three modes for reading. You can have the app read the entire story to you and not have to interact with it at all. This is great if you just want to entertain your child. The next mode allows you to have the story read to you, but you decide when your done with the page you are on. The text is also highlighted as it is being read. This mode is good if you want to look at the artwork or talk to your child about the plot of the book. The final allows you to read the book on your own. Another nice feature of this app is the ability to jump to any page of the book you want by using the menu button. Another fun feature of this iStorytime book is the Turbo-ize. 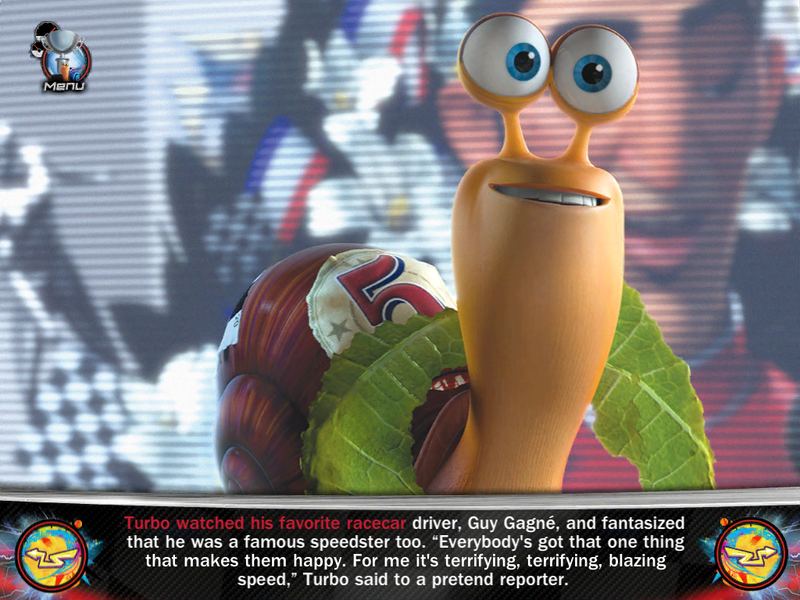 This allows you to pick a shell for Turbo and watch some video clips from the movie. The only thing this app is lacking is some more interactivity. I’m not sure if this was a design choice so that the child would have to focus more on reading or if they decided not to. The downside of this being on an ios device is that I’m constantly tapping and swiping on the screen expecting something to happen. A few people have complained about the app being laggy or the sound not working. I haven’t experienced any of these problems. Another person commended the app for it’s interactivity, I don’t really agree with this review the only interactivity I found in this app was select which videos to play in the turob-ize part of the app. All in all the majority of the people reviewing this app love it and highly recommend it. Even though this app is $3.99 the app is still worth the download and will give your child hours of fun.